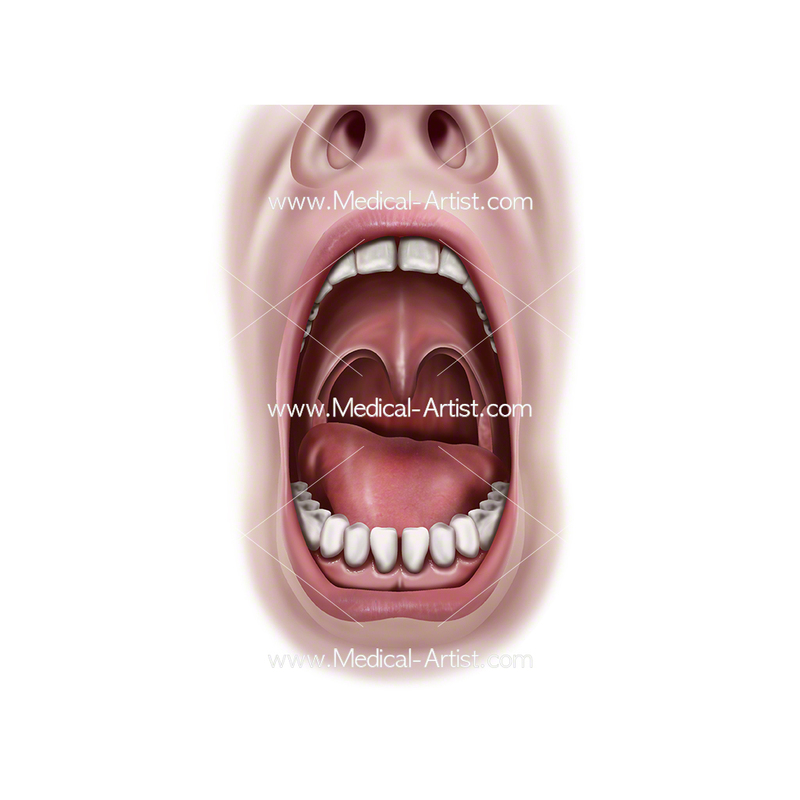 The team specialises in providing custom-made illustrations to suit projects of varying natures. 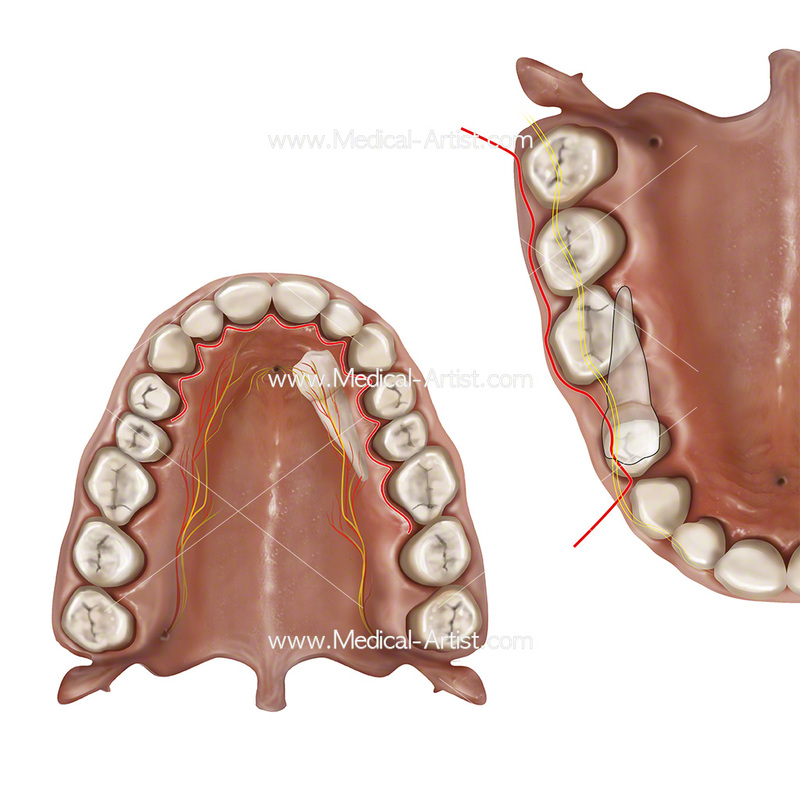 From simple diagrams to the complex anatomy of the oral region, we aim to provide you with detailed illustrations to fit your needs. 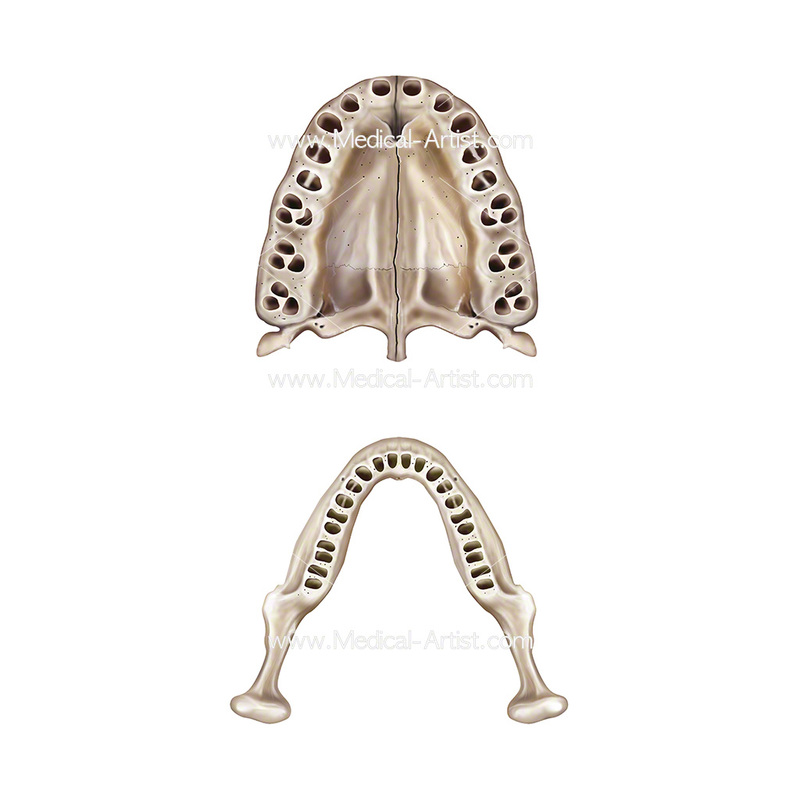 To turn a medical or anatomical matter into a helpful visual for any project please contact the Medical Artist team here. 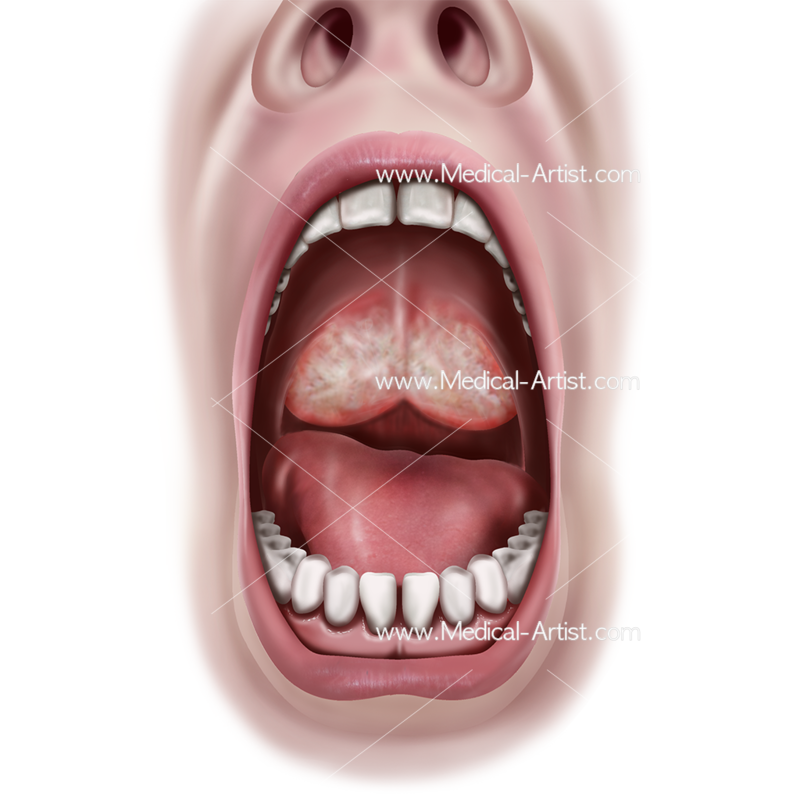 Oral anatomy starts with the mouth, consisting of the lips, cheeks; that form the sides of the face and are continuous in front with the lips, the palate that forms the roof of the mouth, the hard palate consisting of the alveolar arches and the gums and the soft palate which is a movable fold, suspended from the posterior border of the hard palate, and forming an incomplete septum between the mouth and pharynx. 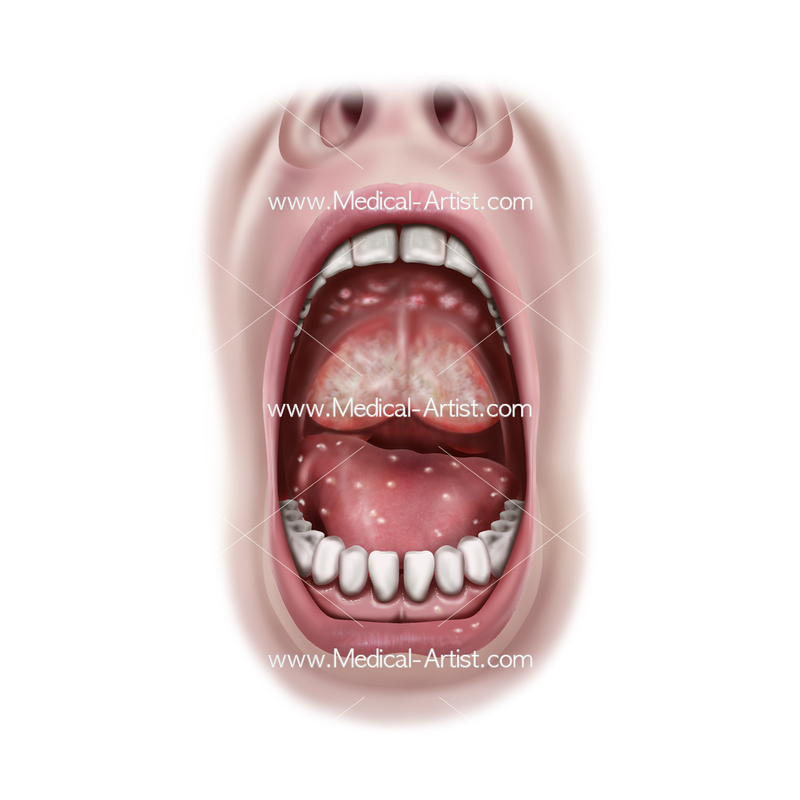 The tongue muscle positions and mixes food and also carries sensory receptors for taste. 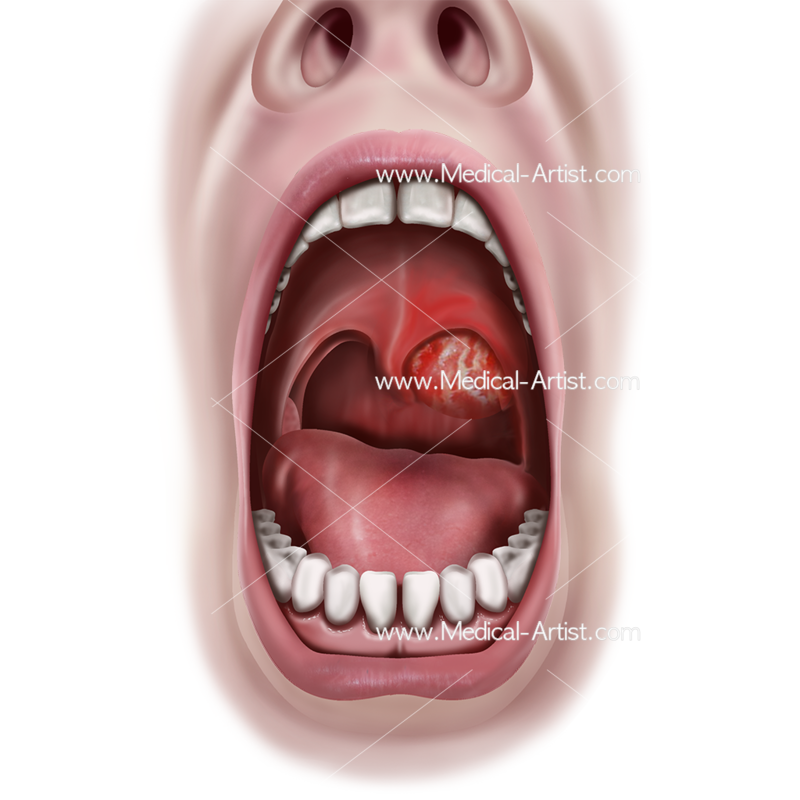 The teeth which tear and grind ingested food into small pieces that are suitable for digestion. 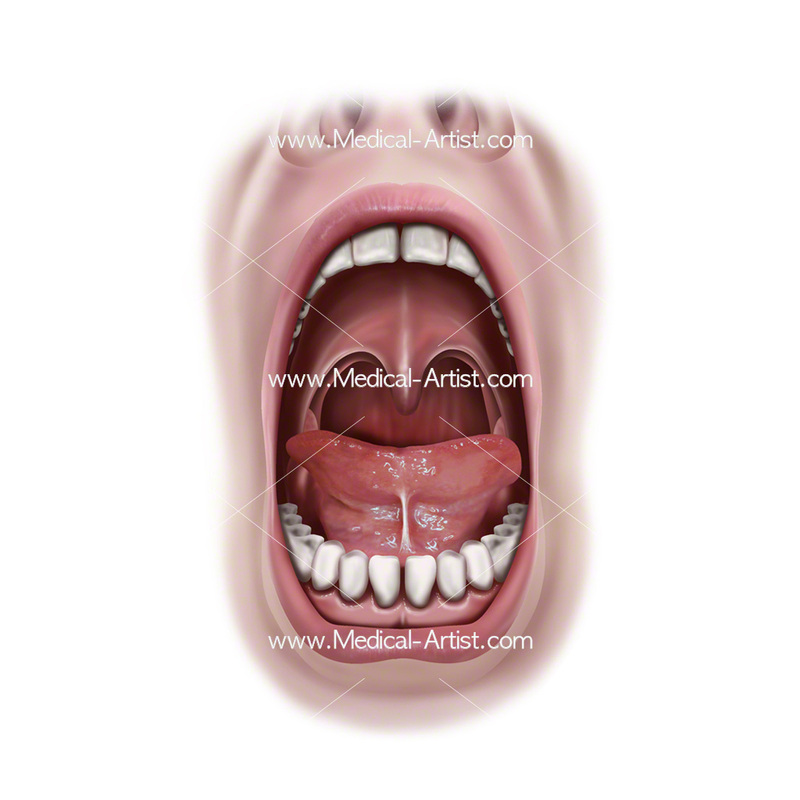 This anatomy of the mouth is contained in two parts, with the outer portion called the vestibule, and the inner part called the mouth cavity proper. 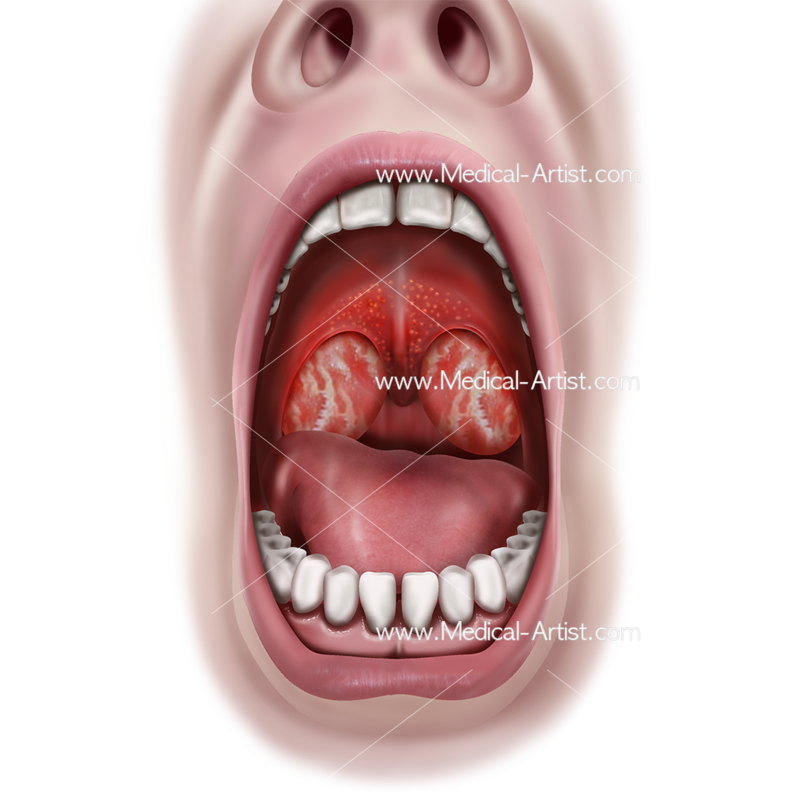 Functions of the mouth start with the digestive process, through mastication and salivation from the parotid salivary glands, helping to break down food chewed into a bolus, which is then propelled into the pharynx. 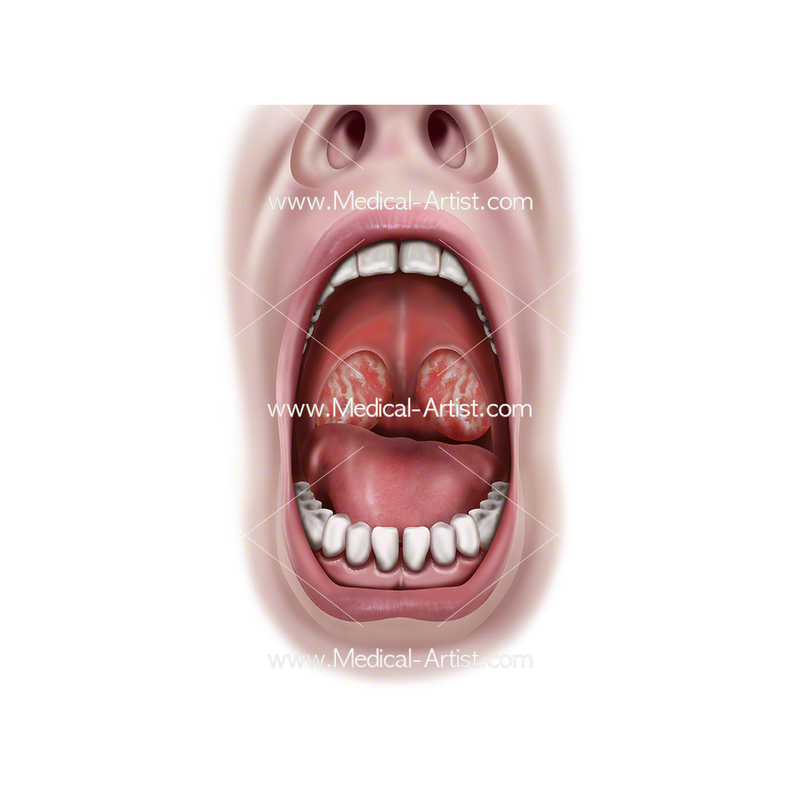 Oral anatomy also serves as a secondary respiratory conduit, a site of sound modification for the production of speech. 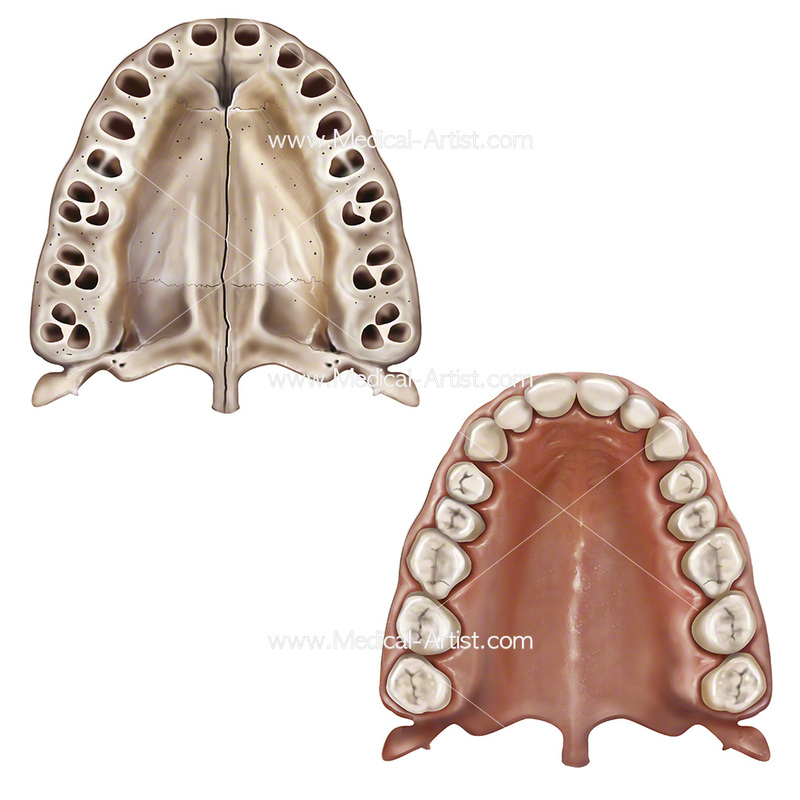 It’s a crucial skill for any dental student and practitioner to recognise the appearance of the structures in a normal, healthy mouth and variations that can occur. 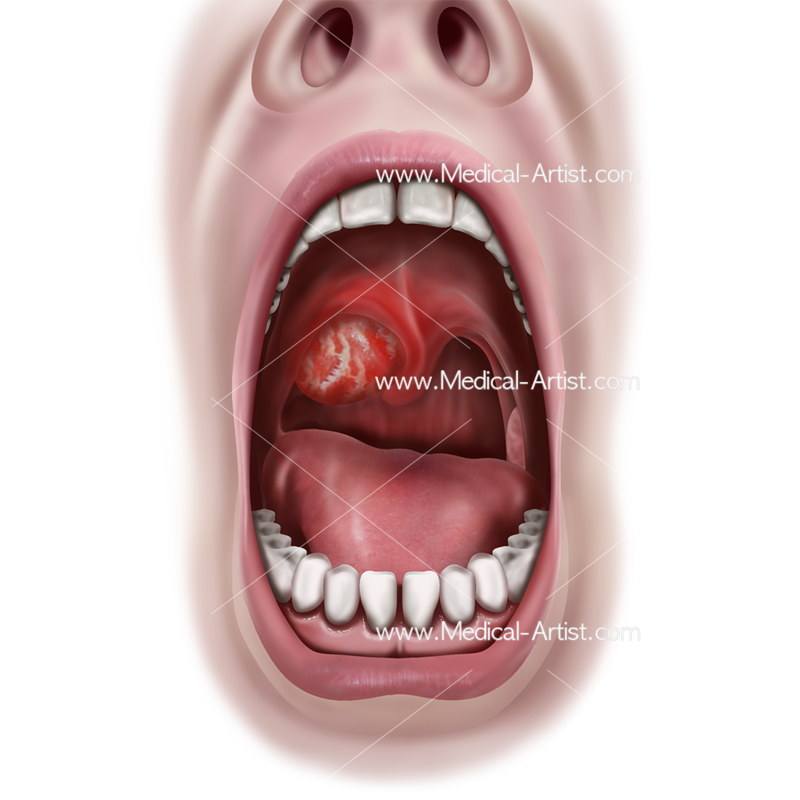 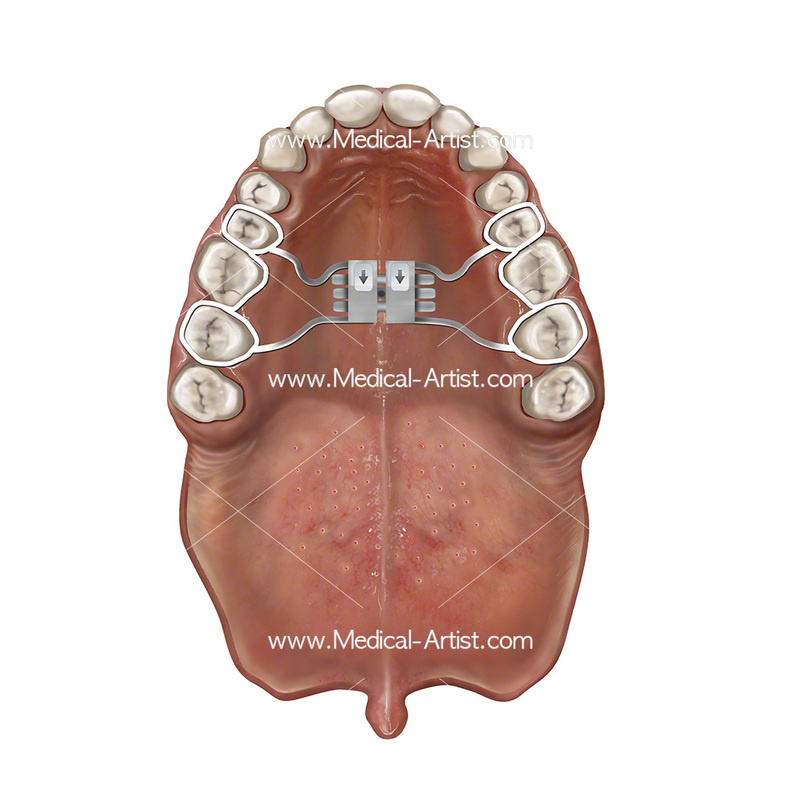 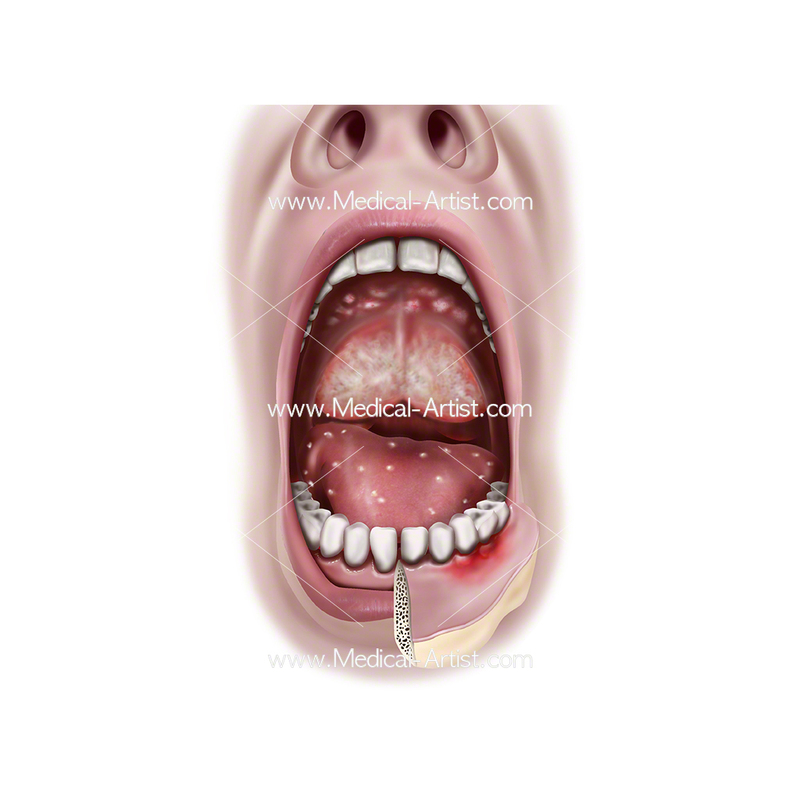 We create our illustrations with close attention to detail and offer in-depth illustrations to aid anyone who may need to know the anatomy of the oral region in a great depth. 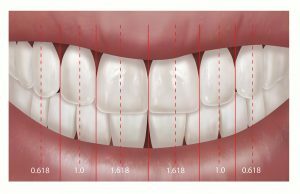 Our services are flexible and customisable to suit you so feel free to contact The Medical Artist Team and get your enquiry going today.